Small (6 - 12 Months) - $76.99 Large (18 Months - 2T) - $88.99 Only 3 left! He might be small, but you always knew your baby was a lurking predator! 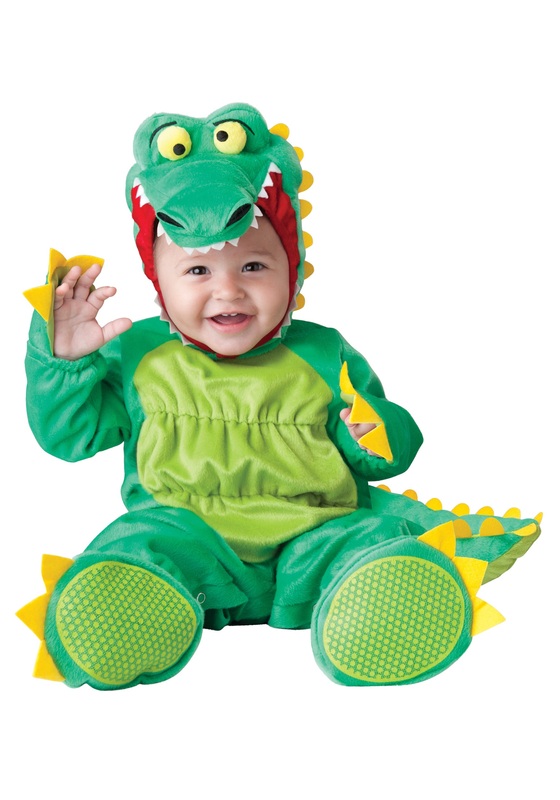 He might lack the reptilian skin and the glazed eyes of a prehistoric hunter, sure, but that's going to change when he wears this alligator costume! We promise! Instead of crawling around on all fours, babbling those babbles, looking for things to knock over and chew on, he will be crawling around on all fours, growling a mighty growl, looking for people to knock over and chew on. He'll just know how to swim and wrestle and smack his newfound tail. It's a whole new world in this costume, we promise! Okay, so maybe our promises aren't the most reliable. This Goofy Gator Costume will, as the name so implies, just make him goofy and adorable. But in our opinion, that's just as good as having an aquatic predator for a kid.